This package has now been superseded by the new FNS40217 Certificate IV in Accounting and Bookkeeping. Click to learn more about our new FNS40217 Certificate IV in Accounting and Bookkeeping training resources. This package is now complete and ready for delivery! Get your RTO the latest FNS40615 Certificate IV in Accounting Assessment Tools & Learning Resources from Australia’s leading training resource and assessment tool developer, Compliant Learning Resources! Get a complete FNS40615 Certificate IV in Accounting training and assessment resource kit so your RTO can deliver and assess this super popular FNS40615 Certificate IV in Accounting qualification! 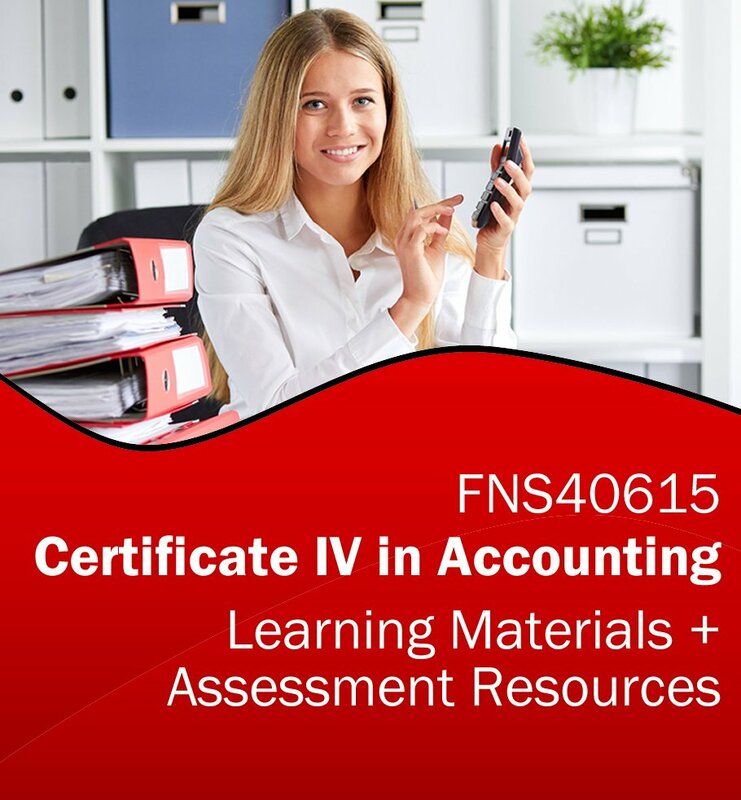 These FNS40615 Certificate IV in Accounting Learning Resources have been designed so you can deliver critically needed, high-quality accounting training to your students. These resources are current and relevant to the Australian financial services industry, so your learners will qualify with up to date skills and knowledge in accounting. 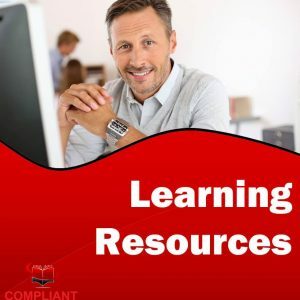 Compliant Learning Resources will provide you with RTO training materials designed to help your students develop the skills and knowledge required to work effectively in general account keeping roles in small business, payroll, accounts receivable or payable, clerical roles and similar positions. This resource is designed to use the MYOB accounting package. Design your own FNS40615 qualification package by choosing from our wide selection of FNS units. You also have the option to select FNSBKG404 and FNSBKG405 so you can offer a TPB approved course in basic GST/BAS taxation principles (GST/BAS course) so your students will have a streamlined path to BAS Agent registration. Unlike many FNS40615 Certificate IV in Accounting training and assessment materials packages which just include facilitation tools, or assessor guides and assessment workbooks, Compliant’s Accounting package comes complete with all Learner Guide and Assessment Tool content in digital format with an unlimited student license. This means you will not be reliant on purchasing hard copy learner guides, assessment workbooks or textbooks for every student – expenses which can easily add up to hundreds of dollars per student! When you do the break-even analysis, our Accounting resource will pay for itself with a less than one class of students, and then you are free to deliver and assess FNS40615 training for years with no ongoing per-student materials fees! Many assessment tools fall over at audit because they do not have sufficient detail in their assessment benchmarks and do not have clear instructions for your trainers on what a “competent” assessment should look like. This leaves you exposed to critical non-compliance at audit because your assessors will produce inconsistent and invalid assessment judgements. Compliant includes detailed assessment benchmarks on every assessment task, and makes it clear exactly what evidence your students must demonstrate to receive a “competent” grade. The FNS40615 Certificate IV in Accounting course assumes your students have access to a workplace in order to access case studies, workplace policies and procedures, forms, templates, financial records and other documents. The reality is many students are not employed while they study, or may be international students who do not have the right to work in Australia. Compliant has developed simulated online Accounting businesses to ensure all your learners have access to workplace scenarios and resources without having to worry about access, privacy or confidentiality. Your students will log into the Simulated Workplace and access simulated business resources, policies, procedures, templates, forms, and other files or materials they require to complete assessment tasks in the assessment workbooks. Each unit of competency comes with a detailed mapping matrix so you can demonstrate to auditors exactly where each Performance Criteria, Performance Evidence and Knowledge Evidence requirement is met. Our new development process also incorporates Foundation Skills mapping in our latest FNS units! Within the Assessor Guide, you’ll also see that each assessment tasks has mapping notes in blue, so that if you modify an assessment you know exactly which KEs, PEs, and PCs need to be met in the modified assessment to maintain compliance. We also now incorporate mapping to the Learner Guides within the Assessor Guide – so when you are marking student assessments, you can quickly and easily provide detailed study notes for particular chapters and sections of the LG your students should review to get a “competent” grade on the next submission! Unit by unit FNS40615 Certificate IV in Accounting RTO training materials! This qualification is written unit by unit so you can select from a range of elective units to design your ideal qualification packaging, or order extra elective units so you can offer a selection of specialized course outcomes to your students. In our experience, this flexibility is ideal for BSB package qualifications so you can tailor training outcomes to specific industry and business needs. This is FNS40615 Certificate IV in Accounting training resource is written and maintained by Compliant Learning Resources. Licensing and support for these materials will be provided by Compliant Learning Resources. Enquire now and get this premium FNS40615 Certificate IV in Accounting learning and assessment resources bundle for your RTO today! As part of this Certificate IV in Accounting Learning and Assessment Resource package, you will receive learner guides, assessor guides and assessor workbooks for a full 13 units of competency. We have carefully pre-selected electives to deliver learning outcomes useful in a wide range of Accounting settings.